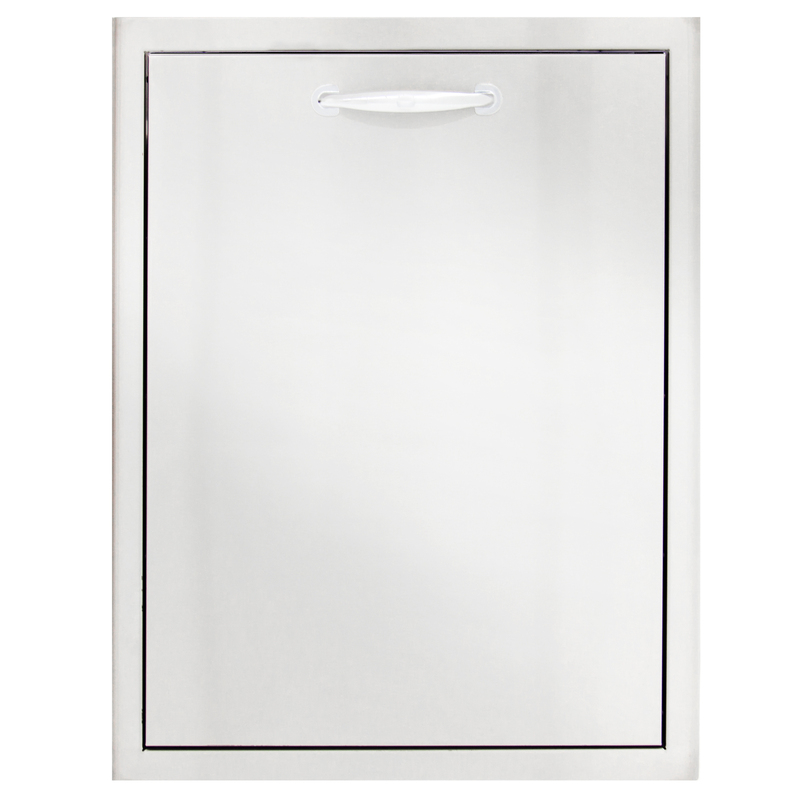 This Blaze roll out trash and recycle drawer features commercial grade 304 stainless steel construction to withstand outdoor elements and a unique, completely rounded bevel design that enhances strength and durability. Conveniently store your trash and recycle bins gaining easy access by pulling the roll out drawer open. This quality storage drawer is accented with a curved handle. Blaze storage drawers are the perfect storage solution for any outdoor kitchen! As of March 15, 2016 -- All Blaze cabinetry will feature a lifetime warranty. Product must be registered within thirty days for the warranty to apply.